An air conditioning system is a complex piece of equipment, with electrical components, refrigerant, coils, fans, and many more parts that must be in the best condition possible if you expect everything to run smoothly. You need professionals who know what they are doing when it comes to AC repair and service, so trust people who’ve been in the industry for many years. Call the experts at McCreery & Sun Of Colorado to get excellent customer service with your AC system installation or service. We install and service central air conditioners of all shapes and sizes from many of the top brands in the industry, including ductless systems and heat pumps. We also provide add-ons like programmable thermostat upgrades and zone control systems. 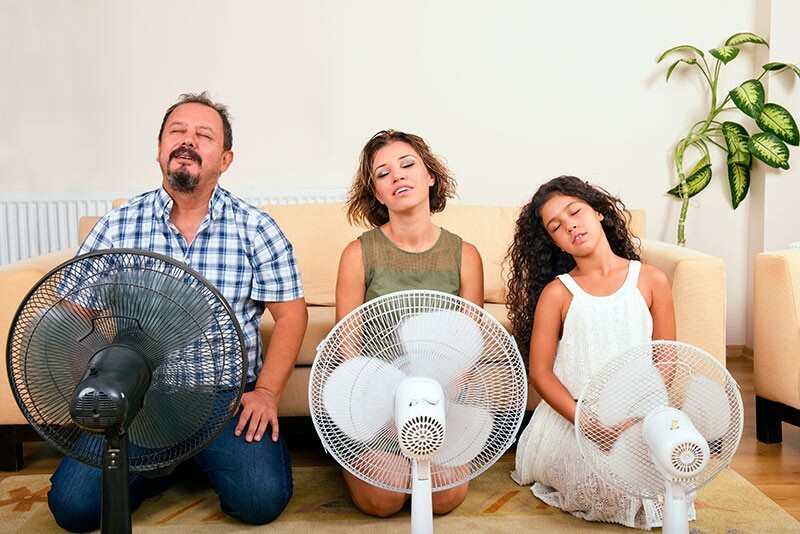 McCreery & Sun Of Colorado offers air conditioning services in Greeley, CO and the surrounding areas. Call for air conditioning repairs the moment you notice a problem with your air conditioner, no matter how small. Change your air filter every month or so, or clean it according to manufacturer’s instructions. Get annual maintenance services from our professionals, which includes a tune–up, coil cleaning, and inspection. We install cooling systems to meet any home’s particular needs. Whether that’s a conventional central air conditioner, a heat pump that allows for heating as well as cooling, or a ductless air conditioner, you can feel certain it is the right size for your home and that it has all of the features you need. We also provide routine maintenance services and repairs. We recommend that you schedule air conditioner service in the spring, before the weather gets warm enough to operate your cooling system. And be sure to call us for repairs as soon as you notice a problem with your air conditioner. McCreery & Sun Of Colorado is a trusted local source for AC services in Greeley. Call us today! Central air conditioners are more effective and efficient than window AC systems or portable units. Central air units provide whole–home comfort and control from a central thermostat which you can program to work with your schedule, which means better overall power and energy efficiency. Get a new air conditioner, repairs, maintenance, or system replacement from McCreery & Sun Of Colorado. A ductless system is just what it sounds like, an air conditioner that needs no ducts! Your ductless system can provide adequate heat for much of the year as well. The installation is much less complicated than installing a new set of ducts. All you need is an outdoor unit and individual blower units mounted high on the walls for efficient whole–home comfort. Heat pumps are heating and cooling systems in one. They look a lot like other central air conditioners, with an outside compressor unit and an indoor blower unit. But the major difference is a heat pump’s reversing valve, giving it the ability to absorb heat from the air outside of the home and bring it to the inside. Thermostats of the past had few options to customize comfort, with dials or sliders that were difficult to adjust to your exact temperature preferences. Today, you can get a wireless programmable thermostat that automatically readjusts throughout the day, or a smart thermostat you can operate from your smartphone. Schedule an upgrade today. A zone control system helps to make home comfort easy. Get thermostats in certain rooms or zones of the home to change the temperature in that area independently of the rest of the house. Or use it to get more consistent temperatures throughout the home. Call us to learn more!